Why no new wind turbines were installed in Romania in the past two years, what should be done on a regulatory level in order to bring in new investors, how can the country’s national network integrate renewables, what the industry needs in order to produce more wind energy, when the investments will be self-supported, without need for us, the consumers, to pay green certificates in our invoices. Answers to these questions and to others in an interview with Claudia Brânduş, President of the Romanian Wind Energy Association (RWEA), with whom I had a discussion at the Wind Europe 2019 conference recently held in Bilbao, Spain. Last year, not a sinlge MW of new wind capacity was installed in Romania. And not just last year. Why? That’s right, nothing happened in 2017 either. There is no motivation. As soon as the support scheme was abruptly terminated, there was no longer a reason for new capacities, as investment projects were not profitable, under the conditions of the 2015-2016 period. Meanwhile, technology costs have continued to decline. At the Wind Energy conference held in Bucharest last year, it was said that wind would reach grid-parity (the costs are covered in full by the sale of energy produced on the market without a support scheme such as green certificates – our note) sometime around the 2021 horizon. This is very much related to market structure, market rules. There are countries where grid parity has already been reached, where the wind is very good and market rules are permissive, especially where there is the possibility of signing a PPA (power purchase agreement, a bilateral energy acquisition contract – our note). In our case, there is no clear visibility of when this will happen, but we are convinced that if market rules changed, and if more flexible technical and trading instruments appeared, we would also achieve grid-parity in a few years. In two or three years. Which do you think are the three most important conditions for the industry righ now, in order for new wind capacities to appear in Romania? The first is the political will. In a country that does not want renewables, no one will come to coerce investments. The second, more concretely, would be the market structure. PPAs and the intraday market should become operational. As an alternative to the PPA, OPCOM should create more flexible products, because we need technical and commercial tools to cover our production profile, which is currently not acknowledged. For us, the production profile is a liability in the standard market structure. The third very important thing is to strengthen the networks, especially the high voltage part. Already Transelectrica has an EU funded project, but there could be many more, because there are a lot of European funds that have exactly this destination: the strengthening and digitization of networks for easier integration of renewable energies. If these barriers were removed, development would become natural. And here, indeed, as I said last year, the initiative of the Ministry of Energy to make the country’s resource map is not a bad initiative. It is a very good endeavour, as long as it is done correctly, and not for social or other reasons. If a proper mapping is done and a cost-benefit analysis is made, it will probably be necessary to target some type of support in some areas where the (natural) resource is not good enough or the technical solution is expensive, but it could also identify areas where, on the contrary, the combination of elements is so good that there is no need for support. But above one needs predictability, one nedds to know that they manage their own business, not have the Regulatory Authority stepping in all the time. From a technical point of view, it is OK to know beforehand the technical conditions, we know them from the beginning, we observe them. But what we do not need is regulatory changes, otherwise how could we make a 15-year strategy! Which brings us back to the issue of will – do we want renewables or not? But I am sure hat we do. Classical energy producers make complaints, behind closed doors. There is too much renewable capacity, they have intermittent production, they unbalance the system! Our energy system has been designed on a certain production structure, a capacity of 25,000 MW installed in large power plants and a certain consumption profile. That was how it was designed at the time. When a country opens for renewables, it must necessarily change its market rules. The complaints are, unfortunately, a peculiarity of Romania. We like to blame each other, but it is the government that should make an integrated analysis of the whole system, cost – benefit, to see to what extent one sector could live without another. We are absolutely convinced that we currently have no alternative to coal, but we are not a conventional technology. We know we are not, so I say: renewables have come with this variable production profile. For this profile not to be considered as a liability, we need (regulations for ) intraday trading of our generated electricity, we need to be allowed to aggregate, to store, to offset with each other or with batteries, so that renewables will no longer create imbalances in the grid. In Romania, we reached these topic only at concept level, not technically, and the deeper you go, you are told it is not possible. Romania is the country where it is said too often – It be done . But it can be! Today, King Felipe (King of Spain, who officially opened the annual Wind Europe conference in Bilbao – n.red.) told us that Spain also had problems with the integration of renewables, but the process is improving. All ocuntries had issues with integration, but they overcame them. The way the system is managed has to be changed; digitize the networks and start demand side management. As soon as you have a consumption that follows the production of renewable energy, our profile will no longer create unbalances, but it will become a business for the consumer, for example. When the wind blows, we must be allowed to produce, because our marginal cost is zero, we produce for free. When the wind does not blow, we revert to the technologies whihc stabilise the system . Technologies need not compete against each other. There are two regulatory initiatives on the table: the Capacity market and Contracts for difference. What is your take on both and how does each of them affect the wind energy? I’ll refer to the common practice in other countries. A „capacity payment” support system in Europe is approved as a market, so not as a dedicated aid, and is required for a market of capacities. There are countries where, in order for such a support scheme to be approved, renewables must also be allowed to participate. There is no endorsement of dedicated capacities on a dedicated technology. Also, when you have a capacity market, it is imperative that you also allow the consumer market to participate, which is called demand side response. I do not know, as at this moment, that we are talking about a capacity market. We are merely looking for the consultant to define what it takes, this is where we stand. On the contracts for difference, theoretically yes, a certain budget for renewables is foreseen. On the other hand, there is no development until 2025. But theoretically at the level of 2025, we will no longer need any support scheme, because by then, by applying the new directives, Romania will be obliged to implement market rules that would already make us competitive, without support! What I said earlier: a liquid intraday market, aggregation, storage, capacity market with demand side response. All of this together helps the system. Is there any big investor name that wants to install wind turbines in Romania? There is no interest now, as long as confidence in the investment environment is not restored. If Romania comes with a credible plan, which is not impossible, the interest will probably be different. 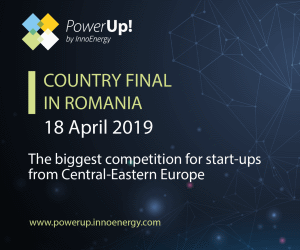 At the end of 2017, Romania had renewable energy capacities of about 5,000 MW, receiving green certificates, which are paid by consumers through invoices, out of which 3,105 MW wind, 1,360 MW photovoltaic, 342 MW hydro and 142 MW biomass and biogas.